Former strengths became strongholds as my spiritual formation began to take hold in this life. Wrestling with God over who would determine the course of blessing, ultimately sitting on the throne in the chamber of my heart, brought injury to myself and others. Learning to trust and submit came at a cost that was deemed necessary pain in the unlearning process. Learning to rely on Him alone by grace alone, through faith alone, seems easy enough to say, but is harder to live by, as Satan pursues those who are marked for Kingdom service. But He who is in each of those called is stronger than he who is in the world. Have a wonderfully inspiring week! Previous Seeing Through New Eyes Next Bunnies, and Kitties and Gummy Bears, Oh My! Amen sister! 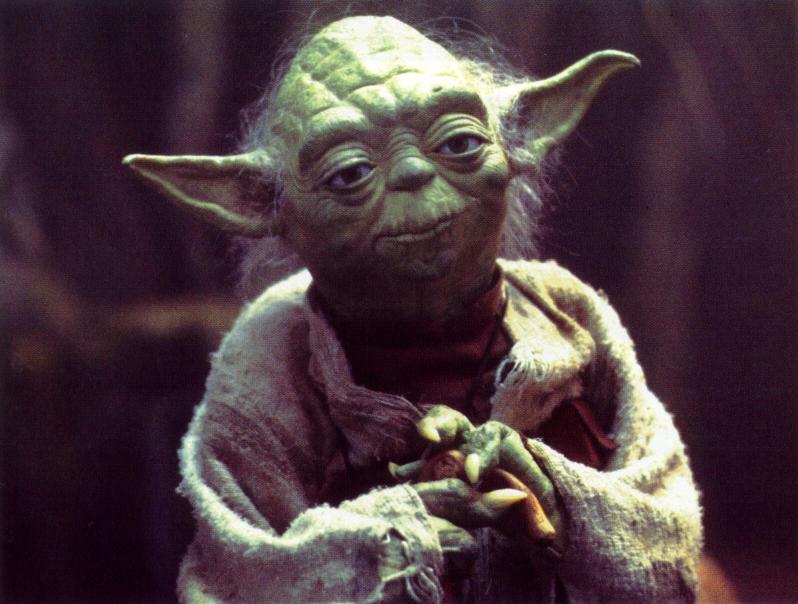 Love Yoda and you are right, it is so hard when people say, “try” when you need them to just be there or do it. Great post…bless you. I enjoyed your post. I'm a new follower from Inspire Me Monday. You have a beautiful writing style and a deep love for our Jesus! Thank you for your wonderful reminders. I am a new follower. I love being challenged in my faith. You might enjoy my blog!